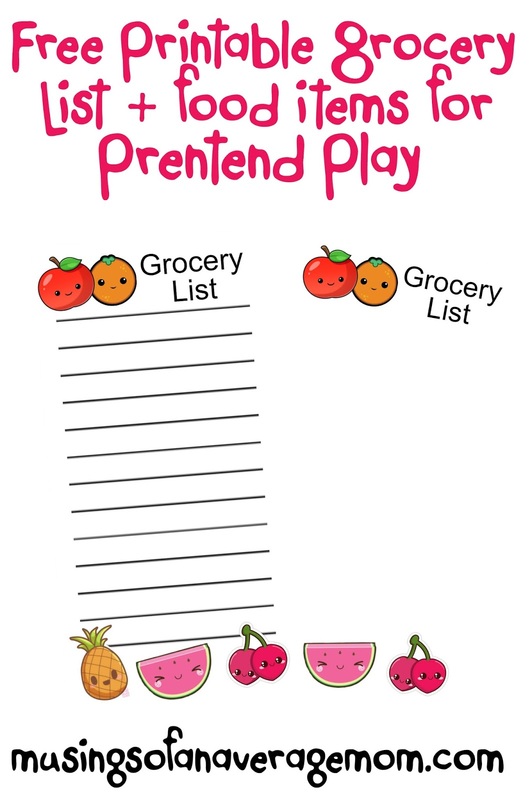 My kids love playing grocery store. 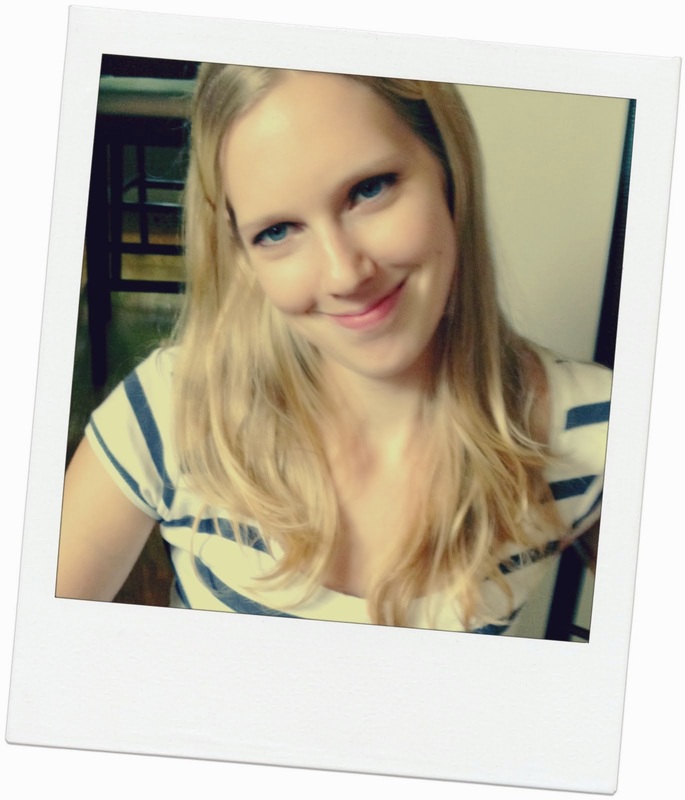 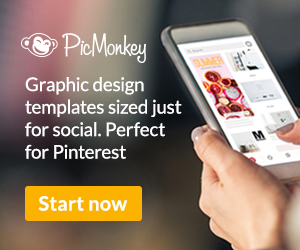 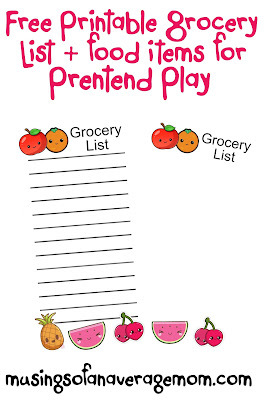 So I created a couple of printable lists for them to go 'shopping' with their pretend food. 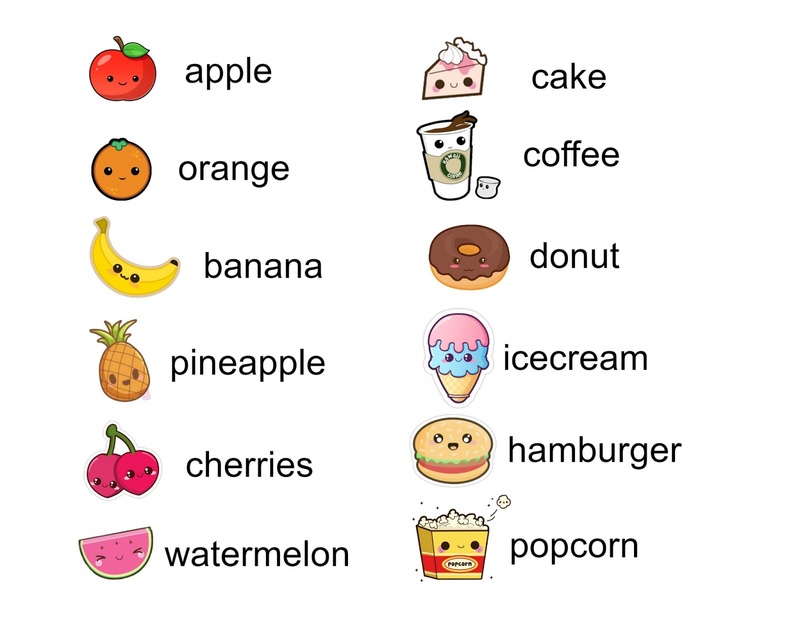 My six year old is always asking me to spell different words so I created these list for her to practice spelling her words. 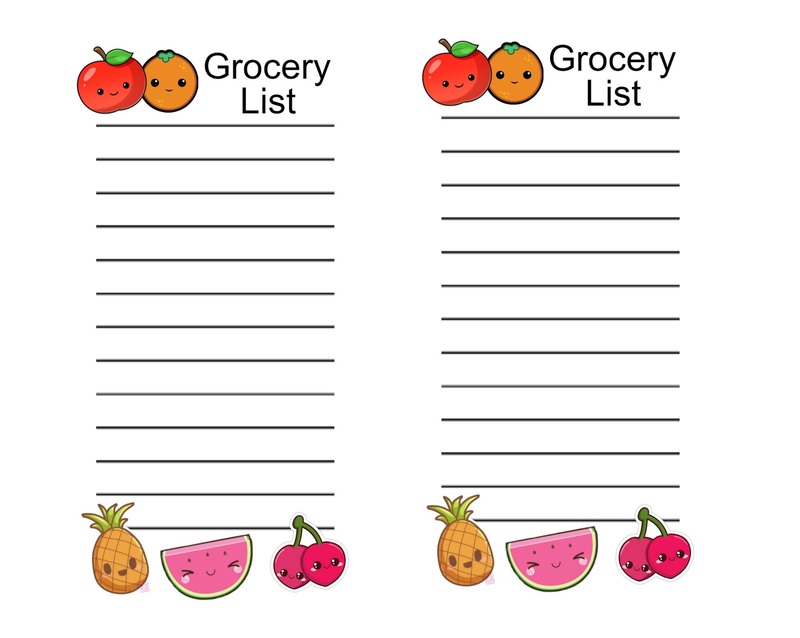 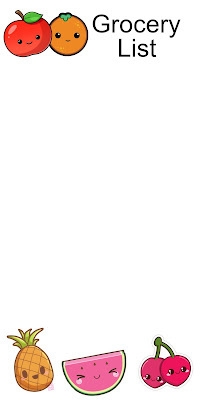 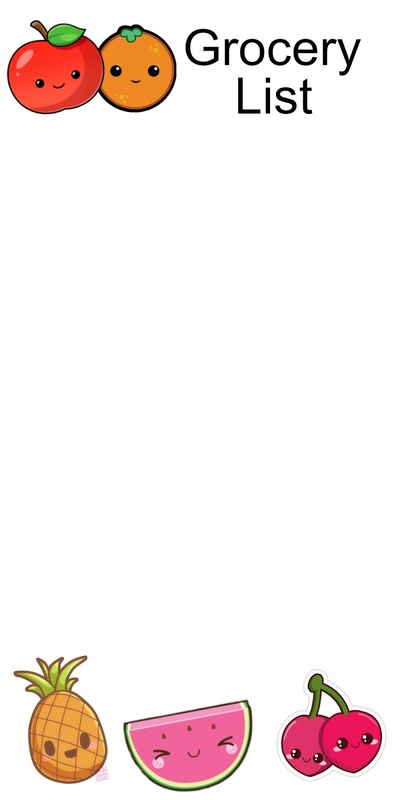 My 4 year old son hasn't learnt how to read yet so I created blank grocery lists so he can draw what he wants to, or you can cut out the different food words and paste them with a glue stick to create a grocery list. 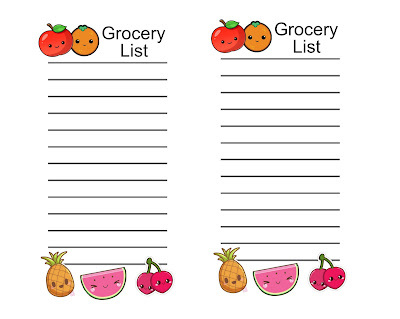 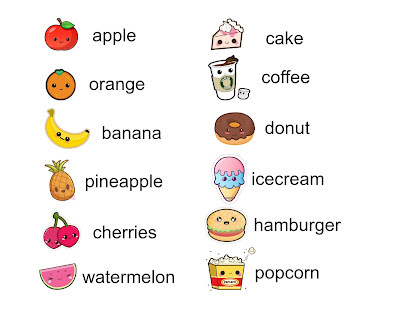 And here is a list of different food items you can cut out and have your kids paste to their own blank list. 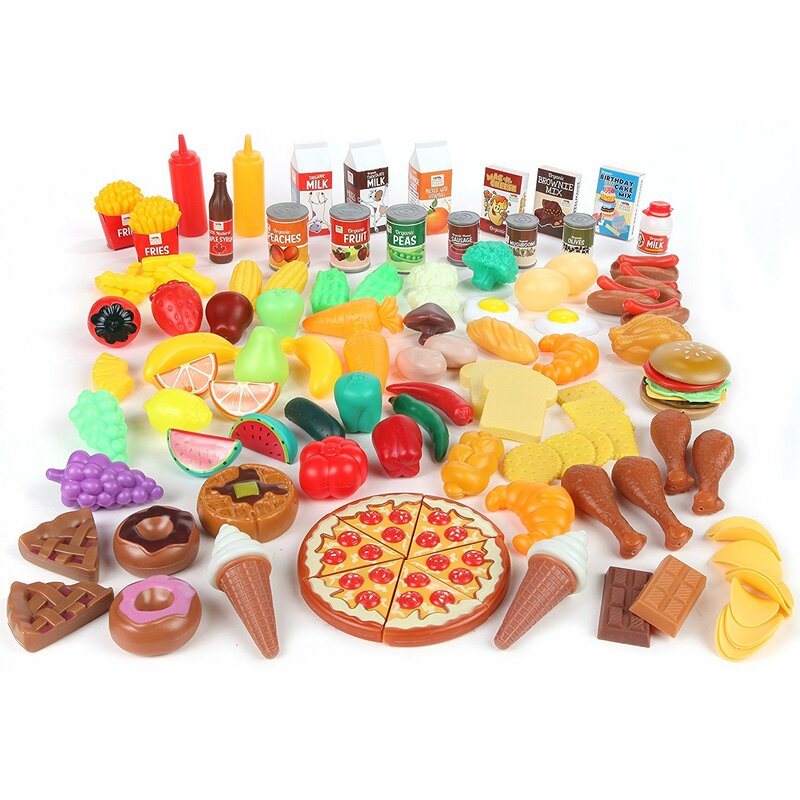 I bought my kids a huge package of pretend play food which they use often to play grocery store or restaurant. 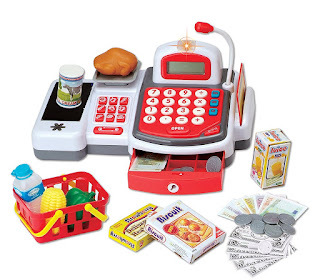 And we also have a toy cash register, this one includes play food, a conveyor belt, microphone, grocery basket and play money. 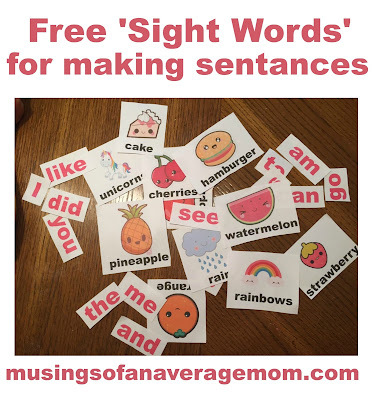 And if your trying to teach you kindergartener to read check out these free printable sight words they can put together to make words.